OTR: WHAT IF SHE IS THE BREADWINNER? Hello guys, it’s been a while. Don’t mind me. I had to be away for a while to settle some things. You know now? But I am back now and guess what? Better! Yeah! Just stay glued and have the best share for your time. Cross my heart. I was watching a “men talk” show based on one of the issues that arise in marriage. It was really a show that tries to help rehabilitate marriages in its own little way. I don’t have issues with the presenters, though they are guys who probably might need help too when they eventually get hooked up. You know what I mean? Hello, are you here? Guys let’s cut the crab. I will just give you my own opinion point blank. What if she is the breadwinner? And so *** what? What’s the big deal? I know it’s not what you would want to hear right now. This saying of mine is never for everybody though. It’s for those that cherish their marriages and wouldn’t want it broken. want a reliable online payment processor? You see, the major problem we all have is attitudinal. God knew about this when He was instituting marriage. That’s the more reason He never said a couple is two but one. He views a couple as ONE. “...and they two shall be one flesh”. How then can a half boast of its completeness, sufficiency, or independency without the other half? It looks like a sermon, but believe me, nothing can be more real than those letters in the Bible, the Word of God! 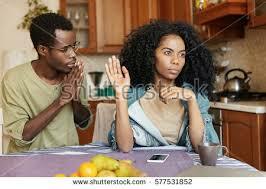 Moreover, there is the mandate a man and his wife must fulfill in order to grow past this chicken fight. If a man would love his wife and the wife would respect and reverence her husband as instructed, I don’t think one would come to the realization of who is “breadwinning” the family. Come to think of it, what a man has belongs to his wife and children. Why can’t the wife’s belong to her husband and children? What’s the materialist classification all about? The problem is our society. It’s way too Petrarchan to nurture our marriages. So beware! God made marriage first, before the society. As a matter of fact, the marriage makes the society, not the other way round. Guys, you are not supposed to listen to rumours or be afraid of what the society will gossip about your marriage if you really want genuine happiness. Keep a reasonable space from the pressure from without. A woman may earn more than her husband and cooperate with him to foot some bills at the end of the month. That is her responsibility too. She is meant to help cover the nakedness of her home! That’s what the wise women do. “…a wise woman will build her home; while the foolish one will scatter hers with the back of her hand” Those words should ring the bell more. Guys, the fear of a woman taking over the lordship of one’s home is egocentric. How do you place it? “I don’t want her to start feeling too important to respect or obey me” or “She might take over the owner’s seat, if care is not taken” safe us that trash and wake up to the reality! She is the owner of the house, you are just the head. She runs your home already. She is not a minor. She is not weak. More also, she is major in the components that made you the man, husband and father. So don’t listen to the emotional poison, your society is transfusing into marriages of today. A man does not earn his woman’s respect by the quantity or measure of what he has. When you love a woman, she willingly respects you. I mean genuine love – affection that makes you treat your wife as your soul. I must say this to ladies who would want to usurp the position of the head simply because they earn more than their husbands. You are only acting foolishly like a bird that uses its beak to remove its nest at winter. Don’t destroy your home and don’t allow pride to help you. Of all that God made, nothing ever needs improvement because He never makes mistakes. Wives are to submit to their husbands no matter how rich, famous or connected they are. A woman who would not respect her husband will soon realize that outside marriage is scotching winter. No covering. Have you ever noticed that no improvement has ever made the body head or the head body? It doesn’t work that way. So respect and be cherished by your husband. Keep your pride at bay and never allow any external influence to trigger what may later destroy your home. Be wise! In conclusion, keep away from friends and families who are in the ministry of destroying good marriages. They are great tools from the devil. They, most usually, never have good homes. They are agents of societal problems. Don’t allow them dictate your decision in marriage. They can be dangerous. Keep away from them! However, remember that no single hand can lift a load to the head. We both need each other, most especially in marriage, to make good sense of our world.